The images are just a sample of some of the amazing places in Asia that has been my good fortune to have visited. My first visit to India in 1993, opened my eyes to this fascinating continent. I have been Running photo tours around SE Asia for over 10 years. This new website concentrates on wider areas of Asia and My travels around the Region. I've been living in Cambodia since 2003 and have images of this wonderful country. its a photographic paradise with spectacular sites and lovely people. The Angkor Temples are amazing; but its the people & rural life which have been an endless fascination for me as a photographer. In August 2015 I co-led a photo tour to West Papua with Indonesian photographer Rizky Nurraman Arashid. The festival was an incredible way to see the culture of the Tribes in West Papua, who live lives largely untouched by modernity. I was able to get out to a few villages to see at first hand how these people live. This was a "National Geographic" experience of a lifetime. 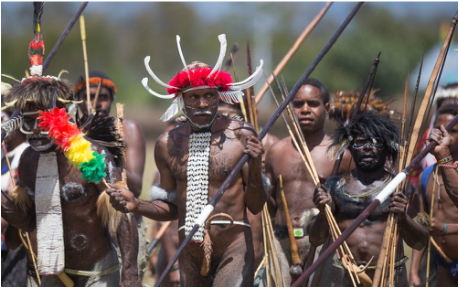 To go to West Papua is something never to be forgotten; but you need to be flexible and understand this is not a normal tourist destination! Running photo tours have been an important part of my life here in Cambodia and SE Asia in the the last ten years. ﻿Peace Of Angkor Tours﻿. originally set up by me is now run by my colleagues and Friends Doun Raden. Ta Elit and Elliot Leuthold. If you want Photo Tours in Cambodia PEACE OF ANGKOR are the best. It a big country which deserves a full website on its own. I've travelled extensively here since 2010. 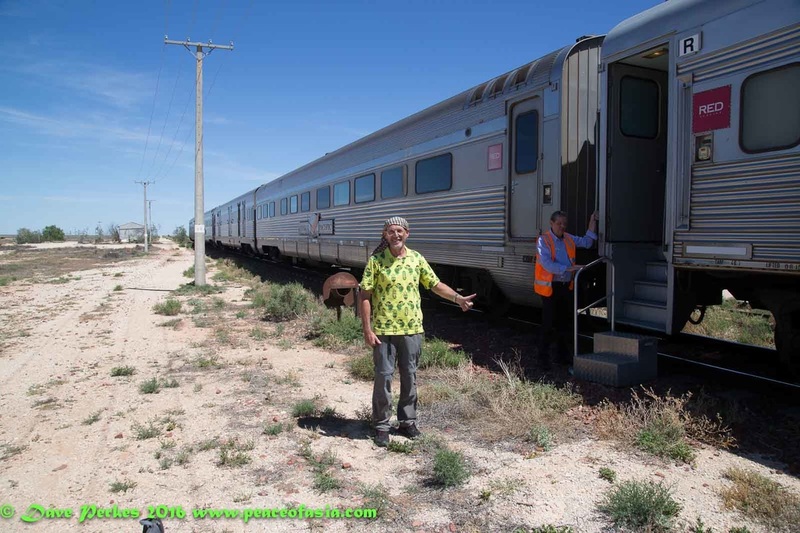 My most recent trip was in March 2016 Crossing Australia on the Indian Pacific Railway from Perth to Sydney Via Adelaide. Mountains have been a passion of mine for many decades. Nepal is a Mecca for the mountaineer and trekker. The lovely Himalayan foothills people and Hindu Culture in the Historic cities; are equally fascinating for travelers and photographers. Cambodia's near neighbour is a fascinating country with a lot to interest the visitor. With the tropical Mekong Delta in the south, to the temperate highlands in the north towards China, Vietnam has a diverse climate and landscape which is the most spectacular in SE Asia. Its been a while since I last visited India. However the trips I had there were almost Life Changing. India is a Continent in itself with such contrasts in wealth and poverty. Its a place which people love it or hate it. There is nothing average about this country. That reflects in the incredible photography there. Indonesia has thousands of Islands and the most diverse landscapes of all of Asia. its impossible to see it all so I have concentrated on Jakarta. Flores and West Papua. Laid back and friendly the Lao People are what have drawn me to the country time and time again. Buddhist culture is a very important part of life here with temples and impressive landscapes. I have only been to Burma once in 2012. It was one of the most Amazing three weeks I have ever spent in SE Asia. Bagan is Temple heaven, with the largest concentration of ancient monuments on this planet. Not only that: the Burmese people, landscape and British Colonial architecture are equally as fascinating. 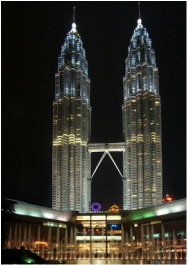 Malaysia is one of the fastest growing economies in SE Asia. Its modern cities reflect that. Behind it all is a land shaped by Islamic, Chinese and European influences. The Chinese, Portuguese, Dutch and British have left their mark on this large country which encompasses a large part of the Island of Borneo. Dave’s passion for photography started in the mid 1970s while working as a Cartographer in Southampton England. Dave’s early interest in photography was motor sport then landscape and mountains. People became increasingly important subjects from the late 1980s, when Dave traveled beyond Europe to North Africa, Asia and the Indian Sub continent. Having spent 12 years working in digital cartography; Dave developed an interest in digital photography in the mid to late 1990s. An early adopter of the digital SLR; Dave purchased his first digital SLR camera system early in 2003; shortly before moving to Siem Reap Cambodia in May of that year. Dave and his partner Colleen Allan-Burns set up Peace of Angkor Villa as a small hotel catering for photographers, artists and writers. It was an exciting time meeting a lot of very interesting and creative people. He dedicated a lot of time in the mid 2000s discovering and developing tours to “new” remote temple sites which had been largely untouched for centuries. Dave shoots for hotel brochures and web sites; and event photography. but his main focus has been on photo tours. Now in 2016 Dave is retiring from tours in Cambodia, but will run tours to Cambodia, Vietnam, Laos and Nepal on request.